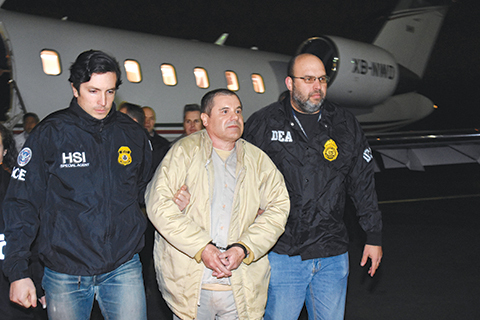 NEW YORK: A New York jury began deliberating the fate of Joaquin “El Chapo” Guzman Monday after a three month drug trial that laid bare the loves, schemes and escapes of Mexico’s most famous drug lord. The 12 jurors met behind closed doors to consider the mountain of evidence presented by the prosecution and decide Guzman’s guilt or innocence. Accused of smuggling tons of cocaine, heroin, methamphetamines and marijuana into the United States over a 25 year period, Guzman faces possible life in prison if found guilty of the 10 felony charges against him. Besides drug trafficking, they include money-laundering and illegal weapons possession charges. Journalists, huddled in sleeping bags against the cold, camped overnight outside the Brooklyn federal court to assure a seat in Judge Brian Cogan’s courtroom. 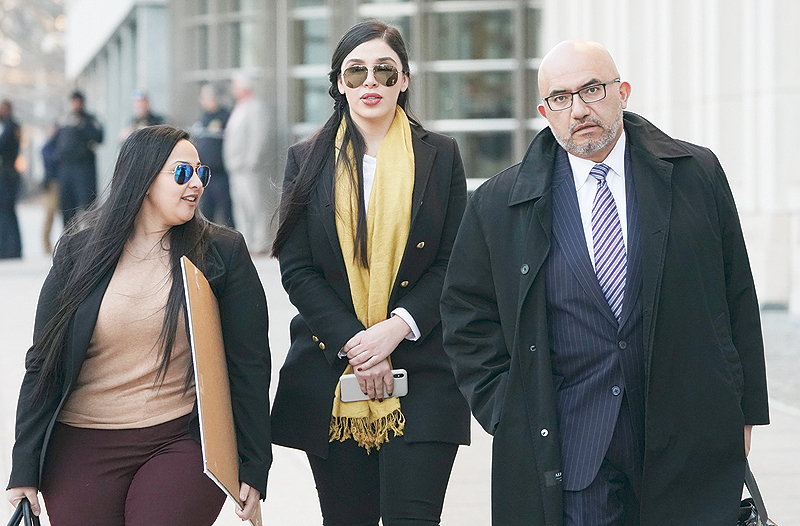 The trial has unfolded like a real-life telenovela with Guzman’s former beauty queen wife in the audience and a parade of her husband’s lovers and henchmen taking the witness stand as the onetime head of the Sinaloa cartel looked on. Before instructing the jury, Cogan asked whether any of them had read or heard about an “offensive or suspect article” related to the trial. He was referring to a prosecution document, leaked after last week’s closing arguments, that quotes one of the 14 prosecution witnesses, former Colombian drug trafficker Alex Cifuentes, as saying that Chapo, 61, drugged and raped girls as young as 13, regarding them as “vitamins” to stay young. Guzman, dressed in a dark suit and tie, listened quietly to the court proceedings, alert to his surroundings as he has been from the first day. His young wife, Emma Coronel, who attended every day of the trial, arrived shortly after the start of deliberations. Cifuentes made no mention of the alleged rapes during his four days of testimony against his former associate. The jury, which is forbidden to read or listen to media reports about the trial, cannot take the leaked document into account in reaching a verdict. After questioning the jurors, Cogan decided to press ahead. “I have no opinion on the verdict you’ll have to reach,” Cogan told the jurors. “I have no dog in this fight.” “Remember you took an oath … to reach a verdict solely based on the evidence,” he said. In his closing arguments on Thursday, Guzman’s lawyer Jeffrey Lichtman asked the jury not to convict on the basis of the “garbage” testimony of government witnesses. 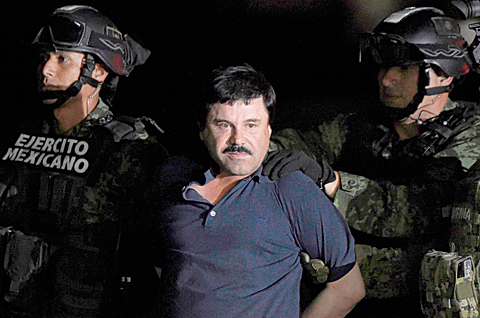 Lichtman contended that Guzman was merely a “scapegoat,” and that the real culprit in the drug trafficking operations was Ismael “El Mayo” Zambada, the co-founder of the Sinaloa cartel. “Mayo has been the largest narcotrafficker for decades in Mexico. He has never been arrested. He has paid hundreds of millions of dollars to stay free,” Lichtman said. The government, meanwhile, appealed to the jury not to let Guzman escape — an allusion to his two spectacular jail breaks in Mexico, the last one in 2015 through a tunnel from a shower area in his cell. “Do not let him escape responsibility. Hold him accountable for his crimes. Find him guilty on all counts,” US assistant attorney Andrea Goldbarg said in her closing arguments on Wednesday. During the trial, the government presented 56 witnesses and troves of incriminating materials, including intercepted calls between Guzman and his associates, and conservations taped secretly by informants.